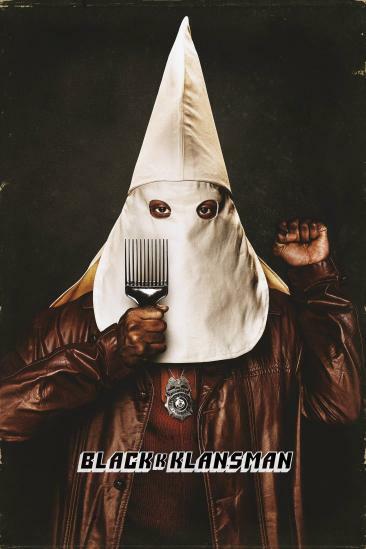 WHAT I LIKED: 'BlackkKllansman,' is an extremely poignant film about racism in America as Spike Lee uses this brilliantly true buddy-cop story about a black officer infiltrating the KKK to show police brutality and the corruption of the system, racism from the extreme to the everyday, and the reactions that all of this provokes in a way that's perfectly frank and extremely distressing. Yes whilst it's natural that this great plot unlocks some racial themes, the way Lee brings it all to life with such a likeable and peaceful central character (played very well by John David Washington) who befriends an angry group of black students as well as the white Jewish cop who infiltrates the organisation means that we get a look at all sides of the story. Is it best to fight the hatred with anger? Or should we fight from 'inside the system'? These are debates naturally flung up in 'Malcolm X,' too, but Lee never answers the question here - he just paints the picture and leaves us and his central character on the fence. I for one came out of this film very angry - especially with the final montage of the Charlottesville events and the fact that the central character hardly has a happy ending that suggests that his way works - but I was also thoroughly impressed that Lee made this film in such a perfect way that doesn't beat about the bush or hide away from its significance, but showcases so much so frankly and brilliantly. Equally though, Spike Lee does know how to make a thoroughly enjoyable film at the same time, and this one's no exception with a script that builds a lot of witty humour whilst giving all of the characters time to be understandable and the plot all the development it needs. Couple that with a brilliant soundtrack and some snappy editing - as well as a whole host of perfect performances - what you've got is a film that's thoroughly enjoyable on the one hand, but one that's mostly extremely poignant and important in the way it deals its racial subject matter frankly and perfectly. What a great piece of work. WHAT I DIDN'T LIKE: You can't help feeling that the central character Ron could have done with a little more development so that we could connect with him on more than just a moral/political level, but also a more human one. VERDICT: An enjoyable but mostly poignant film about racism in America that's relevant across the world, Spike Lee's profoundly brilliant 'BlackkKlansman,' is one of 2018's few masterpieces because of how frankly and perfectly it deals its racial subject matter. If you haven't seen it yet, please make sure you do.